This is a clean, very rare, spiral ratchet screwdriver, it is marked "YANKEE NO. 20-2 NORTH BROS. MFG. CO. PHILA PA. U.S.A. PAT. APR.16.95 NOV.2.97 SEPT.15.99 OCT.9.00" on the area near the selector switch. It measures 14" long overall, fully extended, without the screwdriver tip, and has a very nice hardwood handle, in good+ solid condition with some minor finish wear, and tiny dings on it. The steel screwdriver chuck and spiral shaft is in good useable condition with some minor wear on the bare metal surfaces. 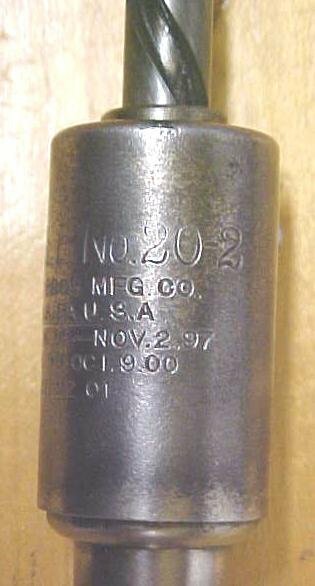 Nickel plating is over 70% intact, with most of the wear on the selector switch ferrule area. The selector on this one moves smoothly and holds position very well, three position, left, right, and rigid (or moves in both directions with no ratchet). There is no spring loaded, rapid return on this screwdriver, as per it's design. Much like the other North Brothers Yankee screwdrivers, this one offers similar features but was designed primarily for driving screws, using the spiral drive, as it can't be locked down like the similar Yankee model No. 30. 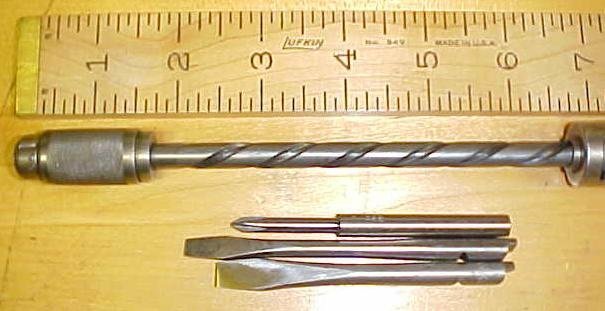 The bits are removable, and has a 9/32" or .280" diameter shank, and will except that size Yankee Phillips adapter bits that we also offer for sale (under Yankee with the search feature). 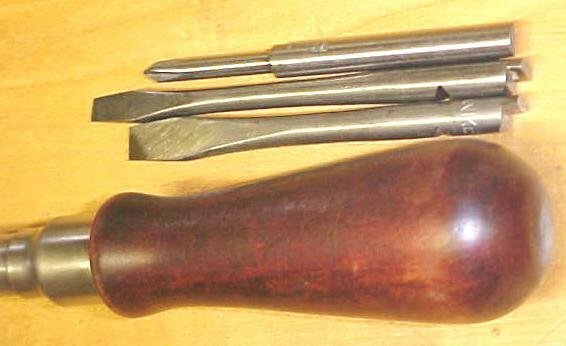 It will also accept other Stanley or North Brothers, "Yankee" bits with the 9/32" diameter, in fact it has a Yankee slot head bit in it that is included. Also included is three interchangeable screwdriver tips, in good+ condition, one Phillips, and two slot bits. A very rare tool! Items Similar To "North Bros. Yankee Spiral Ratchet Screwdriver No. 20-2 Rare!"